Chikhaldhara in Vidarbha measured 78 mms till 8.30 am Thursday. Parts of Baroda got drizzles last night. Bharuch is experaincing showers at 6.30 pm IST on Thursday. 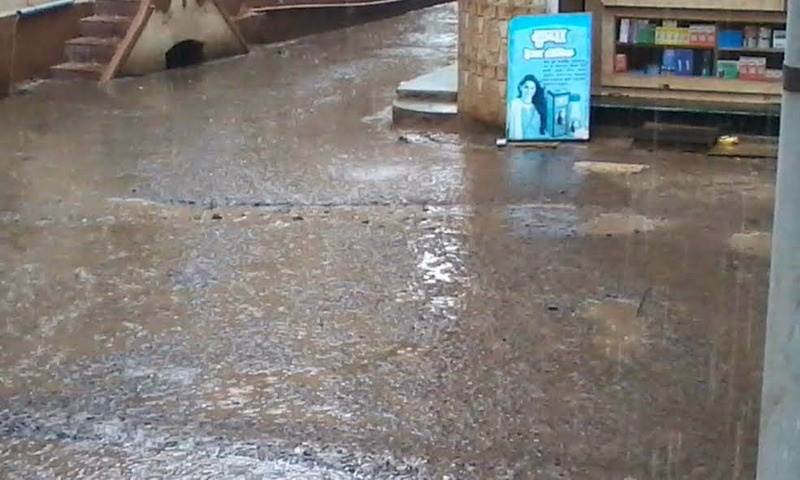 As anticipated, the Marathwada region and Western Vidharbh got the rains and hail in some areas. 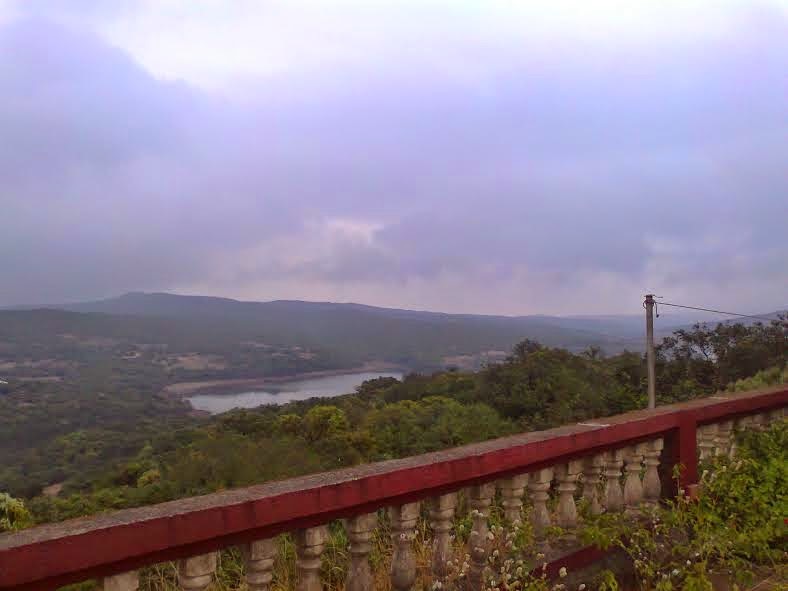 In West Vidharbh, Akola recorded a heavy 39.9 mms of rain, Buldana 23 mms and Yeotmal 15 mms on 31st. In Marathwada, Nanded saw 17 mms and Parabhani and Aurangabad 4 mms. In Aurangabad, the rain started after the celebrations were over, around 1.30 am on 1st January, saving the New Year. Nasik and Nagpur got traces of rain. Celebrations from being a damper. 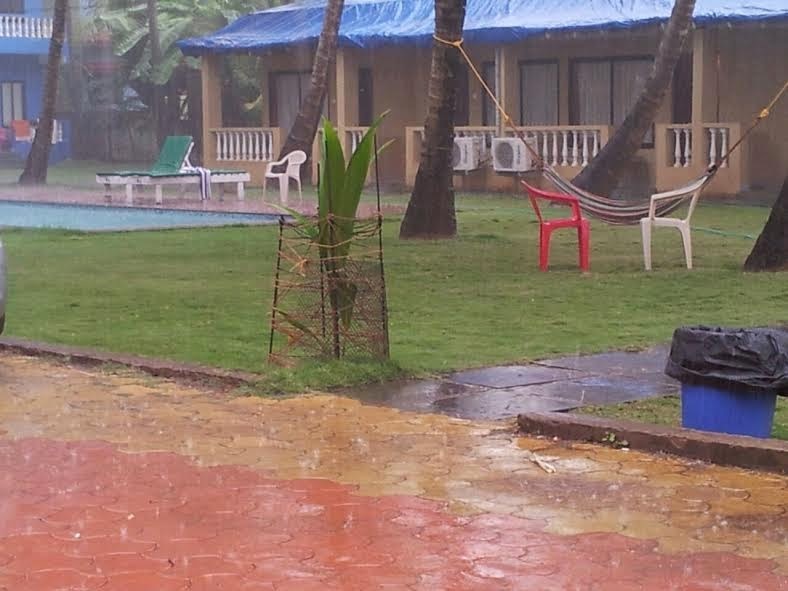 Some regions of Goa too got showers. Vagarian RK Chaudhary informs of rain on 31st and sent this pic. Tuesday Night drizzles in Aurangabad...Mumbai gets partly cloudy. Predicted rains ( as given below in Monday post) on schedule in Marathwada and Madhya Maharashtra. Extending to West Vidharbh. Mumbai will get cloudy. BB-15 has tracked NE to 14N 86E...and likely to track NE and weaken due to resistance.Rains along Odisha coast and West Bengal coast.Decreasing from 1st. Chennai rains decrease. Getting average 55-60 mms in 2 days as expected. **** In the New Year, Vagaries is planning a well attended meeting. It is (almost) compulsory to attend this meeting. . The Meeting is on 10th January, 5 pm, and the venue is in South Mumbai. BB-15 !The sysytem now as a Low at 7.7N and 84E, is around 1006 mb. Seeing the behaviour of the upper level winds, I expect this system to deepen stage wise to depression and track towards the TN coast. BB-15 is then expected, after tracking along the coast, to weaken after Monday and fizzle out around 15N in the Bay. 29th December ; Heavy to Moderate Rainfall is expected : Along the North TN Coast. ( Chennai: Around 40-45 mms 29th Morning- 31st Morning). Light rains in Central TN. 30th : Heavy to Moderate Rains in Coastal AP. Moderate Rains in Coastal Odisha, TN and Kerala. Drizzles in Bangalore. New Year EVE: 31st December: Heavy Rains in Coastal AP/Odisha. Vizag: Around 40 mms 30th morning-1st Morning). Coastal West Bengal gets heavy showers in many parts. Kolkata will gat a wet New Year Eve with showers in the evening. Moderate Rains in Interior Odisha and Parts of South Chattisgarh (Raipur: Upto 5 mms)). Light showers in Aurangabad , Ahmednagar, Jalna and Western Vidarbha (Akola). (Rains in Central India due to an inland trough ). Drizzles in Bangalore. Very Cilly Night with around freezing temperatures in Punjab/Haryana, parts of NCR and Rajasthan. Mumbai will be pleasant and windy in the evening. Low at Santa Cruz around 16c and 19/20c at Colaba. Partly cloudy next few days after the 1st. Goa will be partly cloudy with light showers in the night or 1st morning. Pakistan Northern plains and Sindh to face very cold temperatures from 31st for 2/3 days. Around freezing in Sindh plains and Punjab. Moderate to light showers and hails in Marathwada (Aurangabad : Around 20 mms in 2 days. Very cold day)), West Vidarbha (Akola), North Maharashtra (Hails) (Pune/ Nasik), Interior Karnataka (Belgaum) ( Bangalore: Showers on 1st around 15 mms in some parts), Hyderabad, Parts of South Gujarat Coast (Surat: Upto 3 mms), Baroda). Cold Wave in all of Northern regions continue and intensify from 2nd January. Gujarat and Kutch get cold from 1st January. As we had forecasted, the 200 hpa jet streams have taken the plunge, and dipped Southwards. Though earlier than forecasted by 1/2 days. Cold Conditions in NW India and Pak Punjab: The forecasted freezing conditions prevailed over this region from 28th Morning itself. In Pakistan, Islamabad dipped to 0c, Lahore to 2.7c. Some parts of Chennai city get shower today. Expect more rain from tomorrow.Thanks for your prediction. Any rains expected for Mumbai on 31st Night or the days following the 31st...If yes how much can we expect. Will this increase tempratures from the current cool temp of mumbai..hope not much? Any impact of the cold expected in Gujarat following 2nd Jan into Mumbai/Thane belt? ameya:I have mentioned no rain for Mumbai...partly cloudy ( 3 OKTA maybe) from 31st or 1st.yes, slight increase from clouds, but surely dropping again from 3rd/4th. IARI PUSA in New Delhi yesterday (28 dec) recoded min temp -0.9°c !! Yesterday minimum at Pusa(IARI) was -0.9c. Nagpur under cold wave!! Today recorded min temp of 5c(which is below normal by 7c) . With this also breaks all time record of 46 yr old!! Previous Dec lowest was 5.5c on 29th Dec 1968. Ishan : An upper air WD expected over the Northern Hills of Sub Continent on 3rd Jan.. It is good to see Chennai rainfall figure by our beloved PJ. May Chennai get more rain from this system? Cloudy weather with W breeze brings the max temp down in Mumbai! Scruz max temp 27.8c today. Sees drop by 3.5c compare to yesterday max of 31.3c..
Cloudy weather with Rain & Hails at some places drops maximum temp all over Maharashtra on New Year day today! !